James R. Garvin, Ph.D., CEO, president and director of CytoBioScience Inc., will be the Forum on Entrepreneurship Breakfast Series keynote speaker Thursday, Feb. 15. Garvin joined CytoBioScience Inc. in 2015 as CEO. Before that, he held positions such as CEO, chief operating officer and managing director of investment banking for various biotech and finance companies. With 29 years of experience in his respective fields, Garvin’s work was recognized by the French Academy of Science, and he was named one of 16 health care innovators in Texas for 2017. CytoBioScience Inc. was founded in Germany and moved its headquarters to San Antonio in 2015. The company creates and manufactures devices that allow researchers, medical institutions and pharmaceutical companies to better understand how human cells react to medicine. Garvin earned his Ph.D. in urban studies/affairs at the University of New Orleans in 1994. Lynda Ellis, owner, president and CEO of Capitol Concierge, will be the featured speaker at the next Forum Breakfast event on Thursday, April 5, 2018. 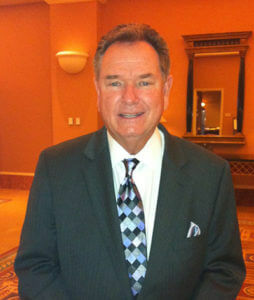 At the previous event, in November, the Forum Breakfast series featured Dennis Noll – CEO of the San Antonio Area Foundation. Past speakers include Daymond John, “Shark Tank” investor and founder of FUBU; Colleen Barrett, president emerita and corporate secretary of Southwest Airlines; Stuart Parker, CEO of USAA; Paula Gold-Williams, CEO of CPS Energy; and Bill Greehey, chairman of NuStar Energy, L.P.